Its executives rollicked in pay rises. Its tax haven shareholders revelled in rising profits too. Its customers, however, were smashed by rampant gas and electricity prices while the Tax Office did not receive one cent in income tax over four years. Winners: executives and foreign shareholders. Losers: Australian taxpayers and customers. Welcome to the multinational tax avoider from central casting; worse, a company whose assets used to be owned by Victoria and NSW, by taxpayers themselves, until they were privatised. Now EnergyAustralia is controlled by a company in the British Virgin Islands, which is in turn controlled by a Hong Kong energy conglomerate, which itself controlled by Chinese shareholders and the billionaire Kadoorie family. In 2018, this Hong Kong company, CLP Holdings, recorded an impressive 14 per cent return on equity and you can bet its huge presence in Australia played its part. 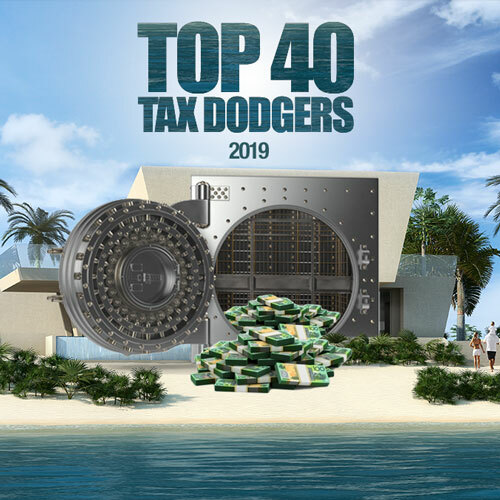 Indeed, debuting this year at #40 on the Top 40 Tax Dodgers chart is another energy giant controlled by the family of another Asian billionaire, Li Ka-Shing. This is the operator of Citipower and Powercor. Although its total income surpassed $30 billion, EnergyAustralia managed to declare a taxable income of just $51.8 million over the four years of available Tax Office transparency data. It still paid zero income tax. How did it manage to pay so little tax? The usual caper – related party transactions with its associates overseas. Massive loans from “related parties” offshore siphoned off interest payments to the tune of $71 million in 2017. The good news is, after a decade of rampant profiteering, EnergyAustralia is finally paying a smidgeon of tax. Its 2017 financial statements show $23.4 million in tax paid. Responding to questions, the company said it paid $137 million tax in 2018. “EnergyAustralia had total revenue of $6.3 billion and no taxable income during the 2016 financial year. Subsequently, EnergyAustralia began paying corporate tax in October 2017 and has continued to do so every month since. It would seem the naming and shaming from these quarters has worked. 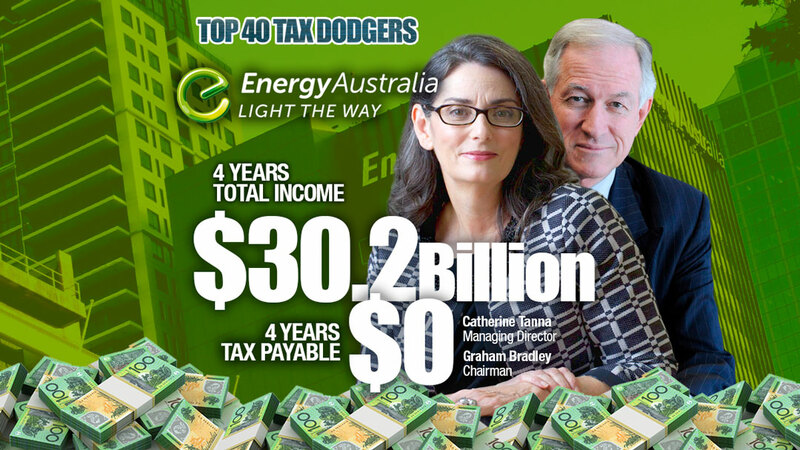 We’ve hammered EnergyAustralia for two years for tax avoidance and although it has since started to pay income tax, it has also geared up again, taking out another $1.45 billion loan with a related party. According to its financial statements the interest expense of $74 million on this related party loan is owed to an “intermediate holding company”. It doesn’t stipulate which company or where it is domiciled. Neither chief executive Catherine Tanna or chairman Graeme Bradley were available to be interviewed. EnergyAustralia’s immediate parent company is China Light & Power (Australia) Limited, which is incorporated in British Virgin Islands. Its ultimate parent is CLP Holdings Limited, incorporated in Hong Kong. Elsewhere, a billion shares were issued to a related entity. This tends to help with thin cap rules. Auditor PwC enjoyed a fee rise to $2.2 million from $1.8 million with “other services” (quite possibly tax) accounting for the uplift. The executive team enjoyed a collective pay rise again last year from $17 million to $19.5 million.